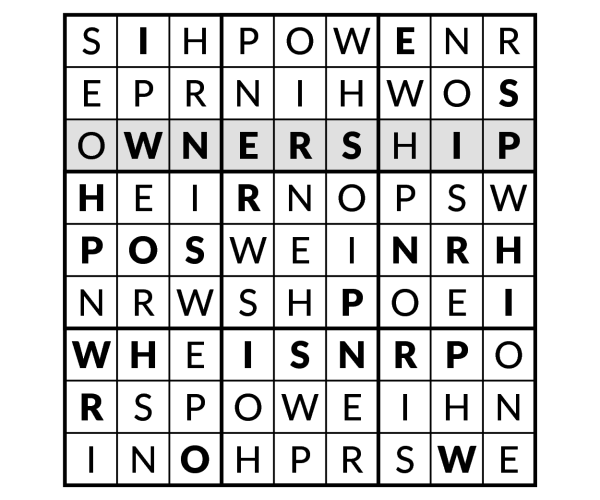 Ownership Sudoku! 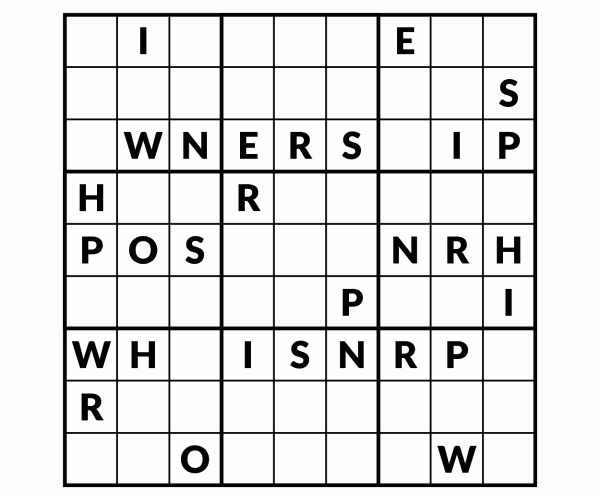 Instead of 1 to 9, use the letters OWNERSHIP to complete the sudoku puzzle. One row or column will spell the word!